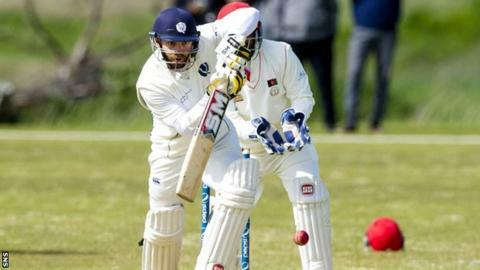 Scotland's men will face Zimbabwe and Afghanistan in the first stage of next year's ICC World Twenty20 tournament in India. Grant Bradburn's side must top their group, which also features Hong Kong, to progress to the Super 10 stage. This will be played alongside the women's event from 15-28 March. Should they prevail, Scotland will be entered into a group containing England, Sri Lanka, South Africa and the West Indes. The Scots will play all their group matches at Vidarbha stadium in Nagpur. First up, they tackle Afghanistan on 8 March, before taking on Zimbabwe two days later. Scotland will complete their Group B campaign against Hong Kong on 12 March. The winners of the first qualifying group, which comprises Ireland, Bangladesh, Netherlands and Oman, will face India, Pakistan, Australia and New Zealand in the Super 10 phase.